Liam Hemsworth Gets His Arm Checked Out Yesterday! Pics Here! The ‘Hunger Games’ actor Liam Hemsworth was seen visiting a medical building on January 23rd in Santa Monica, California to get his injured arm checked out. The 25-year-old actor reportedly broke the limb the night before. VIDEOS: Disney Star Alyson Stoner Goes Viral With THREE New Music Vids! Camp Rock and Phineas & Ferb star Alyson Stoner, is going viral as she recently released three music videos in the past two weeks and has already garnered nearly 2 million views combined. After the immense success of “Sweater Weather,” with YouTube sensations Max & Kurt Schneider, which attracted over 8 million views, they dynamic trio did it again with a unique rendition of Maroon 5’s “Maps.” This fun upbeat pop tune was rearranged by the Schneiders and shot entirely in one take with choreography staged and performed to promote Just Dance 2015. Additionally, the Step Up actress also teamed up with popular Warner Music Group singer/songwriter Tyler Ward, for two smash video collaborations: an original song “Without You” and an edgy cover of “Hanging Tree” as heard in the blockbuster hit The Hunger Games: Mockingjay Part 1. Stoner and Ward added their own spin on the song by writing their own lyrics expanding on the secret romance between two lovers amidst the intensely corrupt Capitol and unjust life in the Districts. Currently, the Disney actress is on location in Vancouver playing the lead in the new film Sugar Babies. Check out all three of her music videos below! 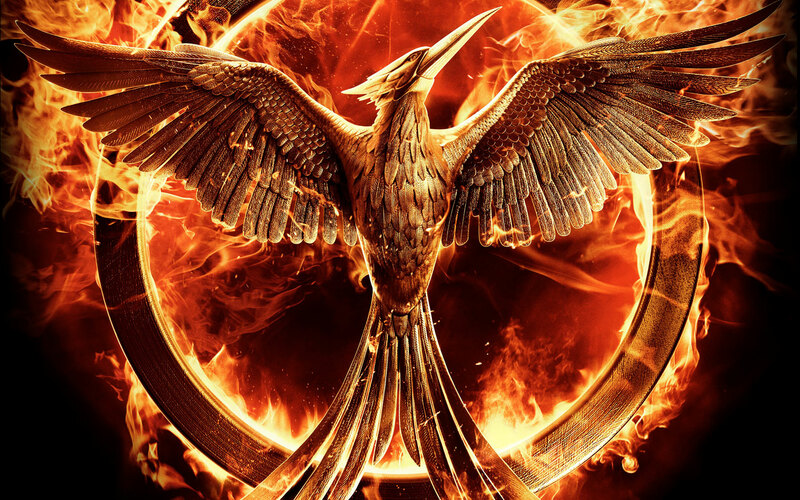 ‘The Hunger Games: Mockingjay Part 1’ Trailer Released — Check It Out! It’s finally here! 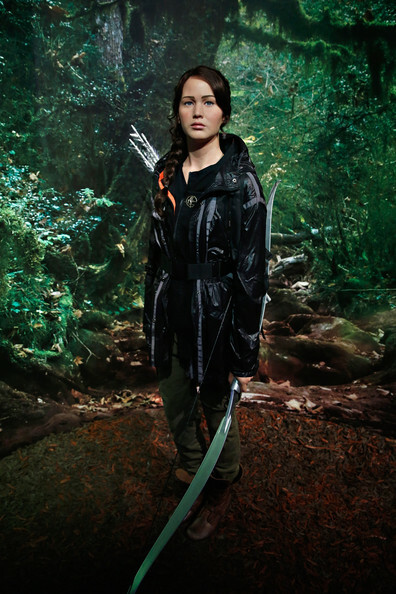 What have you Hunger Games fans have been waiting for? 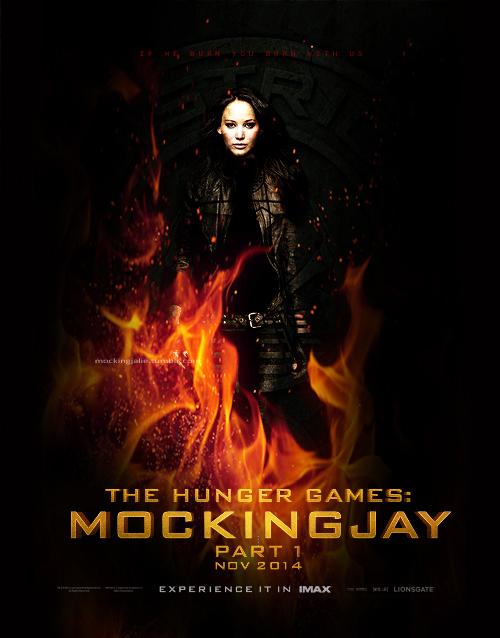 Why The Hunger Games: Mockingjay Part 1 official movie trailer! After the trailer tease, we’re sure you’re happy to finally see what’s coming on November 21st to theaters! 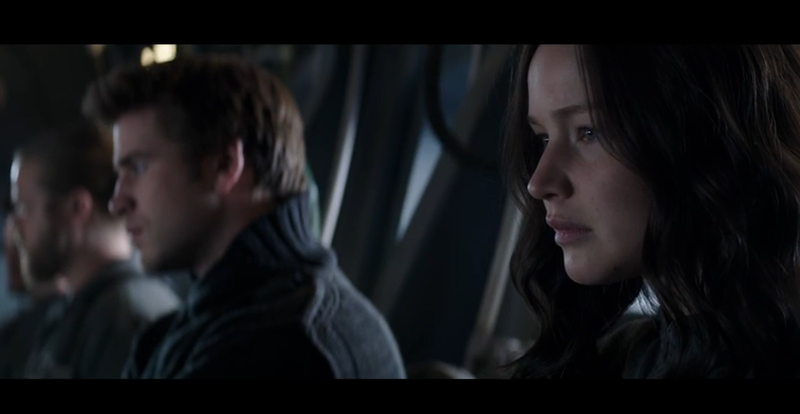 First Official Teaser Trailer For “The Hunger Games: Mockingjay-Part 1” Is Here — Watch Now! The first official teaser trailer for The Hunger Games: MockingJay-Part 1 is here! Released by the official Hunger Games YouTube page, you can find it below. The trailer was released late yesterday, so make sure you tune in for more trailers! The movie comes out in less than 4 months so be ready! Finally, The First ‘Mockingjay’ Trailer Is Here! — Watch It Now! The only thing upsetting about the first official ‘Mockingjay’ trailer being released is that we still have five months until the premiere on November 21! Watch the trailer below, President Snow’s Panem Adrdress with our beloved and now brainwashed Peeta Mellark! Willow Sheilds who played Primrose Everdeen in The Hunger Games turned 14 today! Fun fact about Willow, she has a twin sister Autumn who also is an actress! We would like to wish her & her sister a very happy birthday! 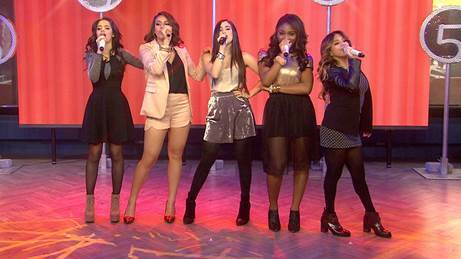 Fifth Harmony Takeover/Early Sneak Peek — WATCH NOW!! Fifth Harmony Takeover, one of the hottest new series on Awesomeness TV, returns this Saturday with a brand new episode and I wanted to share a link to give your readers an advance sneak peak today. The girls take us backstage and show us how they go through sound check before a performance. The girls also like to keep things loose before shows to ease the nerves. Dinah and Ally take on each other Hunger Games style… Who do you think wins?! The episode will be live on Saturday, April 19 on AwesomenessTV. Check out the Fifth Harmony Takeover Episode 4 below. 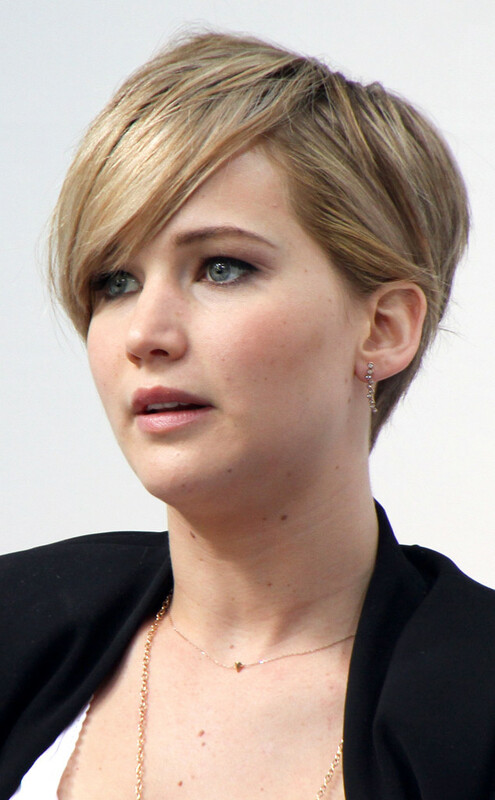 Jennifer Lawrence has been on fire since exploding with hit films like the Hunger Games trilogy and Silver Linings Playbook, which won her an Academy Award. This year has shown no signs of slowing down with a third Oscar nomination in the Supporting Actress category for her role in the critically-acclaimed film American Hustle. However, her role as a nominee will not be the only one she will be holding this year — Jennifer has recently been named a presenter at Hollywood’s biggest night on March 2, 2014. Neither Hollywood nor America can get enough of one of their favorite shining stars! Will you be tuning in to see Jennifer present and possibly take home another Oscar? Nina Dobrev And Liam Hemsworth: New Couple? What do you get when you cross a vampire with a plain farm boy? The answer is a possible romance…or not. 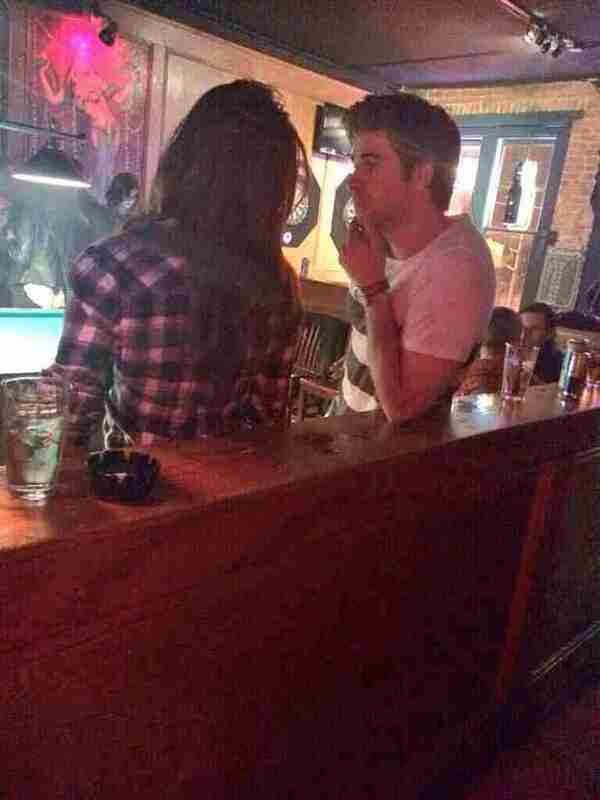 Vampire Diaries star Nina Dobrev and Hunger Games star Liam Hemsworth sparked the interest of fans at an Atlanta Bar over the weekend when they were spotted in each other’s company on February 7th. Much to the public’s disappointment, Nina and Liam are just friends. Liam was in Atlanta, wrapping up the final Hunger Game films, Mockingjay part 1 and 2 while Nina is currently filming season 5 of The Vampire Diaries. Both Hemsworth and Dobrev have recently split from their long time significant others; Liam from Miley Cyrus this past September and Nina from Diaries co-star Ian Somerhalder this past June.